Where will you go for the kids’ two-week break? If you haven’t yet made plans, don’t despair. There are plenty of wonderful ways to celebrate (and rooms to book) in our area. Whether you’ve got the budget of a pauper or a prince, or whether you’d rather stay in a small town or big city, there’s a getaway just right for your family’s travel lifestyle. You know I love Victoria, BC: all those great kid-friendly Victoria activities and restaurants. Now’s the time to go, too — Tourism Victoria is promoting special Christmastime rates, starting at just $69/night. Go and enjoy Butchart Gardens’ Christmas lights, caroling and ice skating. The photo at right? It’s a pic we took while enjoying holiday tunes at Butchart Gardens. Create your own deal for Vancouver, BC. Use my tips to do a little Priceline bidding (four-star rooms are usually plentiful over Christmas break) or take advantage of Tourism Vancouver’s third-night-free package. Then, head up to the snow-draped Grouse Mountain (just 10 minutes from downtown Vancouver), which offers a Santa’s Workshop, ice skating, reindeer, live entertainment, mountaintop sleighrides, a children’s village and classic Christmas movies for a family rate of $79.95. Oh, and there’s skiing and snowshoeing up there too. It’s really a fantastic getaway, right in the city. If you want to go all out, Whistler’s upscale Fairmont Chateau Whistler puts on the ritz for Christmas. Check out the on-site festivities: The Family Fun Room offers an internet cafe, bouncy castles and video games to keep non-skiing kids occupied; the hotel hosts gingerbread house decorating, tea with Santa and children’s stories with Mrs. Claus. It’s not cheap — but at about $1000 for three nights (and an amazing breakfast, typically around $70/family), it’s the same as you’d spend on two (maybe three) tickets to Hawaii. If you’re looking for more affordable offerings, go before Christmas (rates can be as much as 30% less than the week AFTER Christmas) and take a look at what’s available on Whistler.com. Take your muggley self to Seattle, where the deluxe Hotel Monaco’s Harry Potter Package offers accomodations, discounted tix to the Pacific Science Center’s Harry Potter: The Exhibition and complimentary valet parking. Down in the hotel’s restaurant, the premium desserts include a Molten Hot Cauldron Cake with Cockroach Clusters and Make Your Own Potion. You never know — you may leave Seattle a wizard, after all. In the charming little burg of Fairhaven, the Fairhaven Village Inn will offer horse-drawn carriage rides and a Santa visit on December 18. 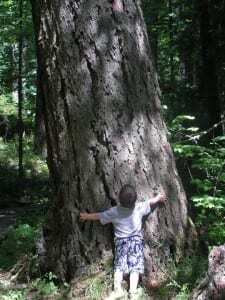 Fairhaven is right outside of Bellingham, Wash. (read more about Bellingham with kids); the adorable village close enough to enjoy the college town but far enough to feel like you’re in a small community. Over in Eastern Washington, in the Methow Valley, this winter will mark the first StorySki Experience among the region’s popular cross-country ski trails. The Storytrail helps kids keep moving along by posting pages from the book, “Polar Opposites” (by Erik Brookes) along a 1k loop. You’re skiing your way through a children’s picture book, reading more of the story at each stop. The trail will debut at Christmas and stay up throughout the winter ski season (mid-March or so), moving. Kids (under age 12) ski free throughout the Methow. A mere 20 minutes from Central Oregon’s Mt. Bachelor, and about 20 minutes from Bend, Oregon, Sunriver Resort hosts Traditions, a holiday celebration that reaches across generations and includes innovative activities like snowmobile excursions, cocoa mug making, holiday trivia, elf tuck-ins, an ornament workshop and more. Check out Sunriver’s page of packages, because the Sugarplum package starts at $149/night, and includes a $50 resort credit toward your on-site activities, including the appropriately named Ft. Funnigan (which both of my children enjoyed, despite their disparate ages — 4 and 10!). Portland is another wonderful, family-friendly and discounted destination for families during winter. Plenty of kid-friendly Portland activities and plenty of kid-friendly Portland dining, and Travel Portland is offering an unequalled Portland Perks deal AND $50 in cash. But only through December 20th! I’m sure it will revert to the usual Portland Perks deal after the 20th, but you should take advantage of that $50 rebate. A great destination to visit with toddlers and preschoolers — visit Zoolights and the take in the Christmas Ship Parade. Do you have any favorite family holiday getaways in our region? The obvious benefit of traveling to Canada? Canadians don’t celebrate U.S. Thanksgiving any more than they celebrate the Fourth of July. Which means schools are in session and hotel rooms are plentiful. You can breeze in and out of museums (like Science World) and attractions without fighting the hordes of summer or school’s-out masses. I love Vancouver’s rainy day attractions and almost always get the perfect, upscale Priceline hotel for a great price (typically around $80/nt). Don’t miss: Robson Street holiday shopping with kids is a fine idea, on the day after Thanksgiving. All the bennies of Canada, but with more traditional small-town charm. Many Victoria shops have their Christmas décor up, and you can even do a little shopping without fighting crowds. Attractions like Butchart Gardens offer discounted fall entrance fees and hotels are about half the price of a summer stay. Take the Clipper if you want a car-free Victoria vacation or bring the car (we typically do) if you want to stay completely dry. 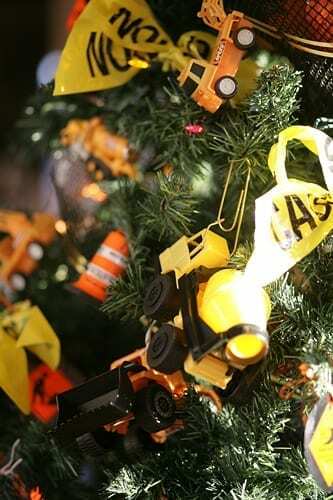 Don’t miss the Fairmont Empress’s Festival of Trees, which features dozens of beautiful and wacky decorated trees. Don’t miss: Discovering 35 free and cheap things to do with kids in Victoria. In December, the crowds descend upon Whistler. But this year, it’s already snowed several times in the village, and there’s plenty of fluffy stuff on top of the mountains. Village hotel prices are still reasonable, the kids’ ski clubs are open and the village is completely sane (vs. INSANE in peak season). The only downer: cross-country skiing is not open. We typically visit Whistler every year at Thanksgiving and find a decent deal through the Suite Secrets program. Don’t miss: Taking the awesome Peak 2 Peak. So, most shops will be closed in Portland on Thanksgiving and the shopping madness begins the day after (as typical in the U.S.). However, you should find a great three-night stay through Priceline, and Powell’s Books will be open for business – so you can take the kids and hang out in the cozy children’s area and the coffeeshop. For Thanksgiving dinner, I like the McMenamins’ buffets, which serves up heaps of goodies for vegetarians and meat-eaters alike. Don’t Miss: Once Thanksgiving Day is over, there are all those wonderful kid-friendly restaurants and kid-friendly, affordable attractions. If you’re inside the just-right hotel or condo, a coastal Thanksgiving offers spectacular natural beauty mixed with cozy indoor stay. A few recommendations for a coastal getaway include Newport, Ore., (incredible views at the Hallmark Hotel and great kid-friendly attractions, including the Oregon Coast Aquarium and the Hatfield Marine Science Center); Cannon Beach, Ore. (read more on my activities for Cannon Beach); and the Westport area (if you want a beach to yourself — this is your spot, and there are a few rooms left at Vacation By the Sea). Don’t miss: Haystack Rock in Cannon Beach, seen in the photo at the right. Do you have a favorite Thanksgiving weekend getaway in the Northwest or Canada? Where do you like to go? Judy didn’t want to leave, but she was evicted from her home to make way for the 1917 theater. So she’s supposedly returned, year after year, to haunt the theatre, showing up as gusts of cold air and the sound of old-timey skirts. Read more about Mt. Baker Theatre’s ghost stories. The cemetery mausoleum (in the resort) hosts a ghost (or three), which you’ll hear on full-moon evenings. These specters are supposedly having a fine time – laughing and chatting. Makes sense, because it’s one of the most gorgeous resorts I’ve ever seen. Rumors of Prohibition-year partying swirl around this hotel (the former Claremont), what with the Jazzy tunes and smashing glasses. The ninth floor is the focus of most ghastly behavior. A Native American woman’s ghost supposedly walks the alleys and tunnels of Pike Place Market; she walks through crowds, arms heavy with baskets. Hungry for more? Check out the Ghost Tours in Pike Place Market. What’s that knocking at the door? Ghostly room service, perhaps? A flapperesque 1920s-era woman is said to haunt this historic hotel’s restored mezzanine and stairwells. And hey, if you’ve ever slept at the Davenport (I have), you might want to stay forever too. *Thanks to Washington State Tourism Office for reminding me of this one. “The Lady in Gray” – possibly a former lightkeeper’s wife – peeks around corners, cleans up broken glass and bustles about in the kitchen. She certainly picked a picturesque spot to haunt, right on the Oregon Coast. There’s a bed and breakfast here, but it’s only open to adults. Say, does that librarian look a bit pallid? A librarian that passed away suddenly during the 1950s reenacts the Ghostbusters movie – opening and shutting windows, knocking books off the shelf, flipping lights on and off. Rabble rouser. This amusement park – one of the oldest in the Pacific Northwest – is home to a groovy 70’s-dressed kid apparition, dressed in bell-bottoms and stylin’ lapels. Even if you don’t see the superstar, Oaks Park is a fantastic way to roll away a Saturday. This hotel/brewery/restaurant/music venue can add “ghost hotel” to its repertoire. Stay a night and ask to see the ghost logs to find out which rooms have had the most paranormal activity. If no one’s in those rooms (well, no one visible), book a night’s stay. At this sideshow destination, people and buildings list northward, objects roll up hills and there may even be an appearance from the ghost of John Lister, who once lived here. Spirits aren’t to blame for all the toppling and rolling, according to current owners — but supposedly an incomprehensibly strong magnetic force, which causes people to list northward. Kids always want to dine in the OSF’s train car. Ghosts seem to call “FIRST” and jump into the Gastown restaurant’s trolley car, rattling plates and talking quietly. This chain restaurant is always a family favorite in the region. A ghost hitchhiker asks for rides outside the museum, and the university’s library is haunted by an elderly lady in a white dress, walking among the stacks and tipping a book now and then. And even if you don’t see a ghost, you can always visit the past at the Museum of Anthropology. This landmark mansion’s home to a ghostly woman dressed in all-white. She walks up and down the building’s stairs (good thing, because the staff hate to see anyone running). The piano sometimes plays vintage tunes – but no human is tinkling the keys. At this haunted budget hotel in Victoria’s bustling Inner Harbour, phones ring (with no one on the other line), lights flicker for no reason and chilly spots crop up in rooms. Who is this spectre? It’s rumored to be the spirit of artist Emily Carr. O’Keefe Ranch and Mansion, Vernon. Visitors and staff tell of a non-paying customer ghost who walks the halls and peeks outdoors from upstairs windows at this Okanagan Lake heritage site. The building was constructed in 1867, so there’s a long history of residents — human and otherwise. Do you have a favorite haunted destination? Victoria, BC, is a family-friendly destination we return to over and over again. Not just because I have a Victoria-based friend with impressive culinary skills (Hey, it’s a nice perk!). But also because Victoria offers so many affordable and free options. Enjoy outdoor festivals and celebrations in one of Canada’s sunniest cities. 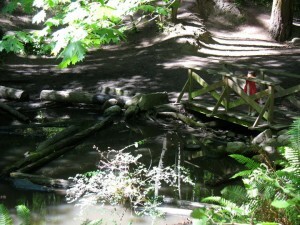 Watch for bald eagles and salmon at Goldstream Park. Ride trail-a-bikes or pull your toddler in a bike carrier along the 55 kilometre (34 mi) long Galloping Goose Trail. Go on a self-guided spooky Victoria tour with your preteen or teen – discover the haunts of spectres, poltergeists and ghostly pianos. Paddle around (with hands or oars) with kids onto Elk / Beaver Lake. Meet the farmer! Visit a Vancouver Island farmer’s market, go on a farm tour or go on a u-pick farm on Vancouver Island. Go to the Art Gallery of Greater Victoria on the first Tuesday of the month, when admission is by donation. Ride the double-decker bus to Sidney, BC. Visit Victoria’s parliament building on a free public tour. Buy some fish scraps from The Fish Store and feed the seals at Fisherman’s Wharf. 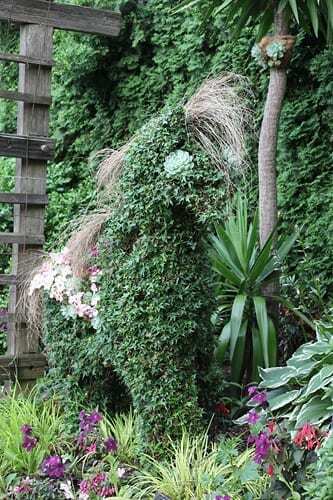 Picnic and play in the Watering Garden at Beacon Hill Park, then count blooms along pathways. Relax in the lazy river in the Gordon Head Pool or the Esquimalt Recreation Pool. Catch a summer concert performance from Victoria Symphony Canada. Watch the running of the goats at Beacon Hill Farm. Visit the gun batteries and watch historical re-enactments at Fort Rodd Hill and Fisgard Lighthouse National Historic Sites of Canada. Along Victoria’s Inner Harbour, watch buskers perform and seaplanes land. 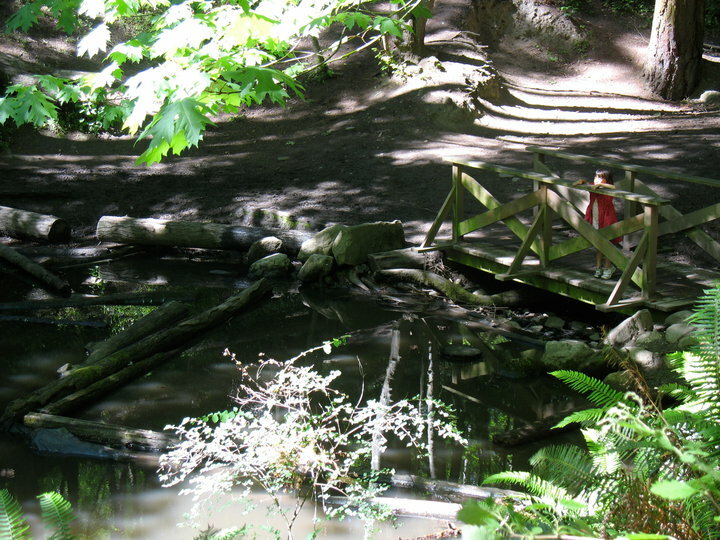 Pack snacks and enjoy a family hike in Victoria. Count the hanging flower baskets in downtown Victoria, then learn to make a proper Victorian Hanging Basket. Walk through Fan Tan Alley, the narrowest alley in Canada. Go to a star party at the Centre of the Universe. 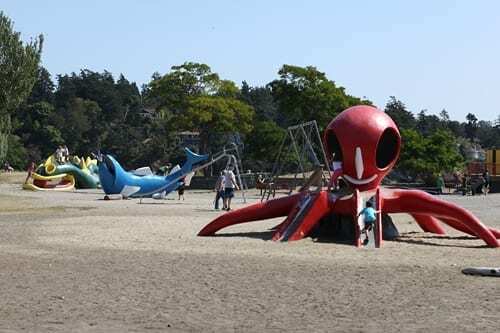 Climb through an giant octopus eye and slide down a fish tale in the trippy Cadboro-Gyro Park. Treasure a storytime at children’s bookstore Tall Tales Books. Look for a golden-crowned sparrow or barred owl at Swan Lake Christmas Hill Nature Sanctuary. Bring a copy of Peter Rabbit to the University of Victoria campus, where you’ll see rabbits here, there and everywhere. Try one of Saanich’s free family events. Catch a Stars and Strollers first-run movie (with baby!) at SilverCity Victoria. Pick out a cute, vintage comic book at Legends Comics or pack of Pokemon cards at Curious Comics. Go for a kids’ tea at Crumsby’s Cupcake Cafe, walk among the old-fashioned tudor buildings in Oak Bay, then dip your toes in the ocean at one of the Oak Bay beaches. Challenge your child to identify the animals on the totem poles in the Thunderbird Park, east of the Royal BC Museum. Bring binoculars to spot Caddie (Cadborosarus) in the waters off Vancouver Island. Sit inside the second-story, luxe lounge area at the Fairmont Empress hotel and people-watch new hotel arrivals (don’t forget to make up silly stories about each one). Reflect in the gothic-style Christ Church Cathedral or the stained-glass gorgeous St Andrew’s Cathedral. Walk along Ogden Point breakwater. Stare up at the giant cruise ships or look down and watch divers surface. Make a splash at the Beckwith “frog pond” splash feature in Saanich. Drive or hike up Mount Douglas, where you can look out over the city and out to Washington State’s Olympic Mountain Range. Can you suggest a free or cheap family-friendly Victoria attraction, restaurant or activity? Today, I have a fun giveaway for Vancouver-bound readers and Vancouver parents! Even if you haven’t gone to Vancouver, BC recently, I’ll bet you’ll want to — if you win this. I’ve pulled together a $10 gift certificate and a four-pack of admission tix to two great Vancouver attractions for families, and they’re both in my book, Northwest Kid Trips: Portland, Seattle, Victoria, Vancouver as well. 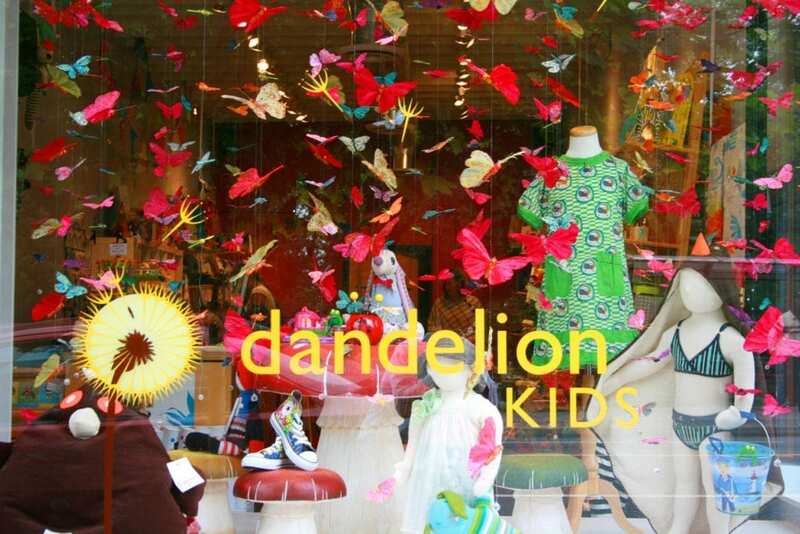 Dandelion Kids is a hip little kids’ store on Commercial (or “The Drive”) Ave, nestled among cafes, restaurants and funky boutique. I like visiting whenever I’m in town, because the owners are super-picky about their finds and always stock something I’ve never seen before, whether Canadian-made or imported. I particularly like the toys and baby items – and it’s a great place to stop for a gift. Last year, my son picked out a swanky cowboy hat that looked like it had just fallen off Roy Roger’s head. I suggest stopping to spend your $10 gift certificate at Dandelion, then heading out to VanDusen Botanical Garden to redeem your four-pack of admission tickets. At VanDusen, kids love the hedge maze, pond fountains (don’t jump in, kids), huge grass lawns, roses and hydrangeas, funky sculpted bushes and sheltering trees. There’s even engaging family programming, if you time your visit right. The only trick with these tix? They’re only good in July, and not good for special events. So you need to use ‘em up quick! But the summer gardens are open until 9 p.m., and I highly recommend an evening walk in the cool air. It’s a great way to wind down before bedtime. How to enter? Leave a comment below and let me know whether you’re planning to visit Vancouver or if you’re a Vancouver resident. That’s it! Good luck. Entries must be in by noon, June 29, and I’ll draw the winner that afternoon. Please be patient when waiting for your comment to appear. I hand-approve each one. No spam will be approved.